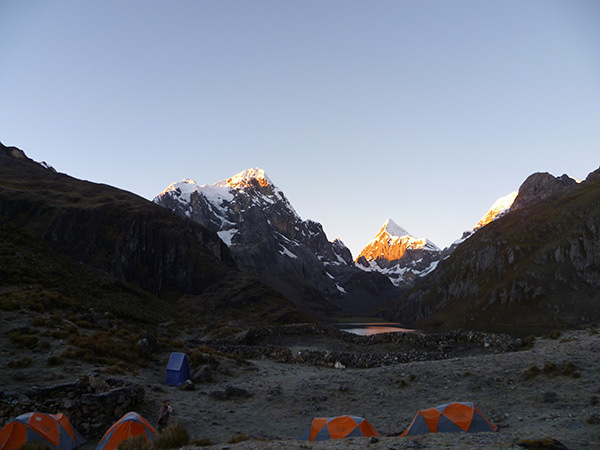 This trekking is a combination of trek of the cordillera raura and cordillera huayhuash , we will start from Lima. 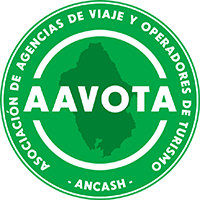 Early in the morning we will transfer in bus then to move towards the Panamerican north to Huaura’s city then desvia for andahuasi sayan to Churin to at 2,080m. Churin is a picturesque interandean people of the province of oyon region Lima every weekend is visited by hundreds of national and international tourists who look for a recreation outdoors and for his sources termomedicinales as Chuichin, Picoy, Huancahuasi, Meseta , La Juventud, afaierro, Poz de la Amistad, el Velo de La Novia between others. The mountain chain raura crowned with the snow-capped mountains of siete caballeros torre de crystal, santa rosa, yarupac, cullcuhsjanca, quesillojanca and leon huacanan that over 5.000m. beautiful lakes as: santa ana, tinquicocha chuspi, patarcocha gaico and huascacocha of color turquoise and abundance of trouts. Day 01: Lima – Churin 2,080m. 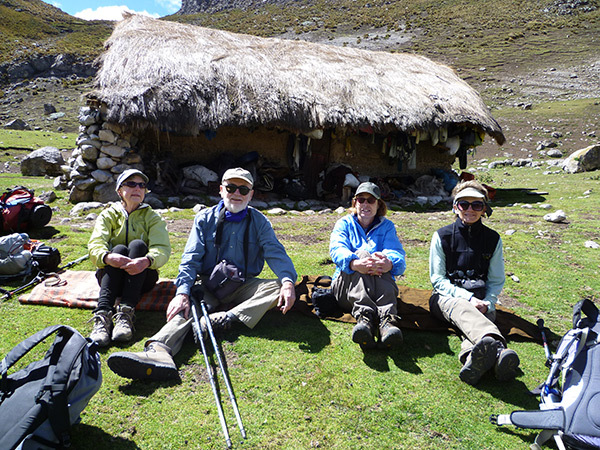 Day 02: Churin – acclimatizing day hiking day at 3800m. 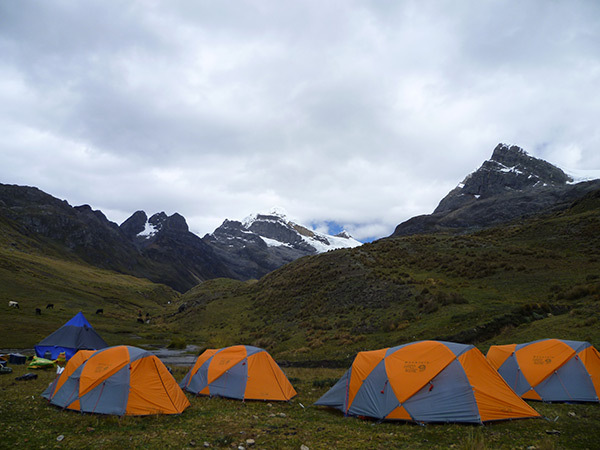 Day 03: Churin – Raura 4,600m. – patarcocha lake 4,150m. Day 04: Patarcocha lake – gaico lake 4,200m. Day 05: Gaico lake – Huascacocha lake 4,200m. Day 06: Huascacocha lake – pass 4.650m. – luychos 4,150m. Day 07: Luychos – huayhuash 4,200m. Day 08: Huayhuash – portachuelo pass 4,650m.- viconga (hot spring) 4,300m. Day 09: Viconga – cuyoc pass 5,000m. – Pumapampa. Day 10: Pumapampa – Cajatambo Pass 4,300m. – Cajtambo. The best season for trekking in the Cordillera Raura Cordillera Huayhuash Peru is during the Andean Winter (late April to September). The weather in the Cordillera Raura is among the best found in the entire Andean Range. Early season conditions will include seasonal snow cover on the glaciers, while later in the season conditions become icy and the wind increases. We’ve found the period of May-August the best. Although storms can occur, long periods of stable, dry weather are prevalent. 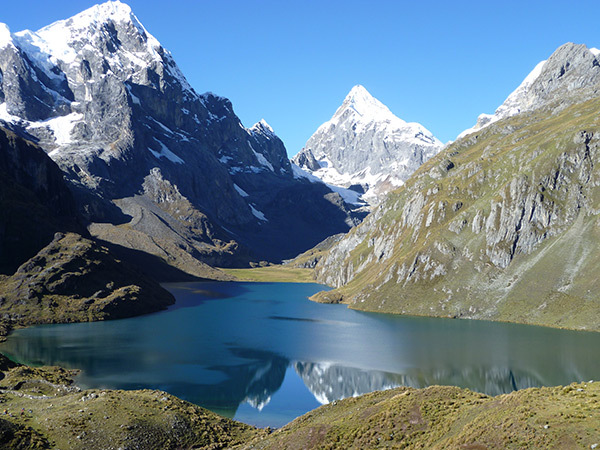 However, like all big mountains such as Yerupaja , Siula Grande, the peaks of the Cordillera Huayhuash and Raura generate and attract their own weather making it impossible to predict.